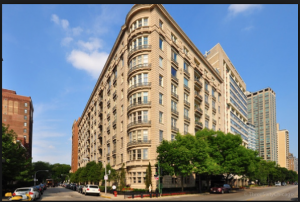 Anchored by a beautiful stretch of Lakeshore Drive to the east and dotted with train stops from two ‘L’ lines, Lakeview is one of Chicago’s liveliest and most accessible neighborhoods. Several distinct areas — East Lakeview, Central Lakeview,Wrigleyville and West Lakeview — meld together to form a lakefront community that celebrates diversity and boasts something for every type of visitor. The pleasant surprise of Lakeview & Wrigleyville is that once you venture 20 steps from the main shopping, restaurant and bar/club areas, you’ll find yourself in beautifully maintained tree-lined streets, with rows of lovely houses in all manner of architectural styles, ranging in age from near century-old to 3 days ago. This is likely the other primary reason for this area’s popularity; one can buy or rent a gorgeous house on a gorgeous street, then walk for 5 minutes and be in one of the city’s mecca shopping/ nightlife districts. Hit the bustling commercial districts along Belmont Avenue, Lincoln Avenue, Southport Avenue, Clark Street, Halsted Street and Broadway Street to shop — be it for vintage frocks, designer jeans or leather biker gear — or live it up with the locals at the seemingly endless options for bars and pubs, and the dozens of celebrated restaurants in between.